Although thickly cut these Crisps still managed to pull off a sufficient amount of Crunch. The Rippled nature allowed for cross section hardness complimented by a munch to mulch process. Deeply Ridged and complete with crumbly season visible crackly surfaces. There was a deep orange colour and a striking attractiveness in comparison to so many dull Regular Crisps. 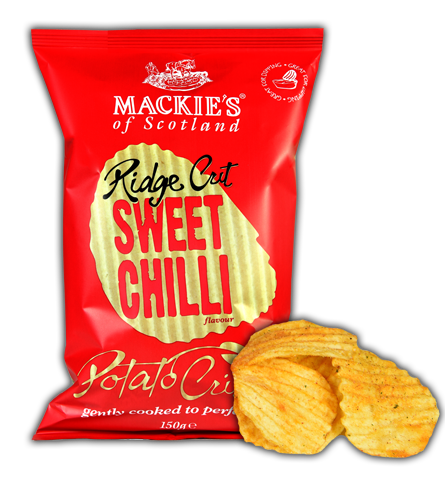 These really were very nice Crisps, but while the Chilli was perfectly balanced it was not by the familiar sweetness often found with this flavour variety. We would have preferred a little more heat.